Sulzer has launched a new CPE end-suction single-stage centrifugal pump. The ANSI process pumps are specifically designed to exceed the strictest energy regulations for all industries as well as the requirements of ASME B73.1. With new hydraulics and high efficiency, they offer low life cycle costs. The new pumps meet the process requirements in a variety of industrial applications, and are suitable for use with clean or slightly contaminated liquids, viscous liquids of up to 3000 cSt, and fibrous slurries with a consistency up to 6%. 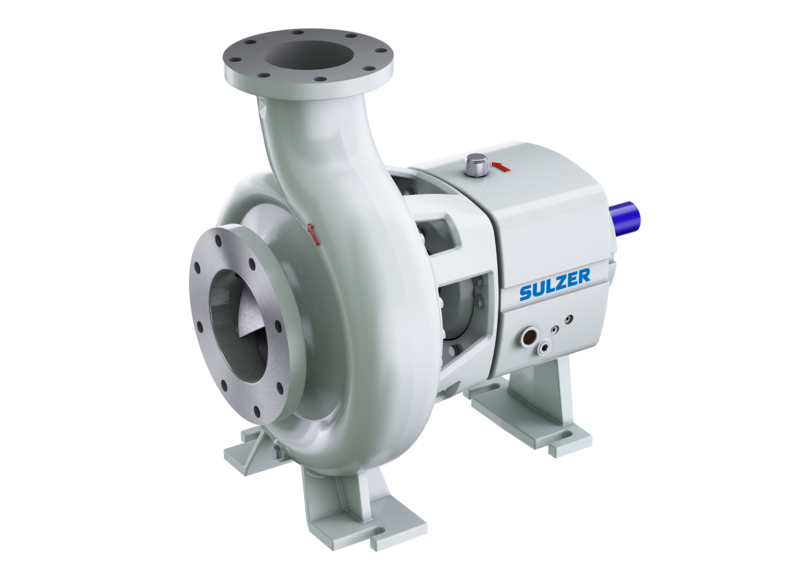 When engineering the new range of CPE pumps, Sulzer considered numerous factors that can potentially influence the total cost of ownership of a process pump. The result is a design that makes it possible for the user to achieve annual savings. The company improved the reliability of the CPE pump and reduced the risk of unplanned shutdowns by optimising the shaft sealing. Heavy-duty rigid bearing units ensure a longer bearing life and further protection against unexpected shutdowns.